Having attended the AGM for the local Canberra Region Amateur Radio Club, I discovered that a group of SOTA enthusiasts were planning on activating a number of hills in the Canberra region on 01Mar2018 at 0800UTC. This seemed to me to be a great opportunity to perform my first SOTA activation on the hill near my QTH. 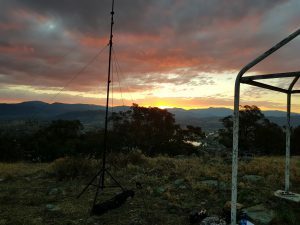 Tuggeranong Hill (VK1/AC-038) is a hill in southern Canberra that has a well established communications hut used for providing mobile services, data services and UHF TV services to homes in the Tuggeranong valley. The summit (https://tools.wmflabs.org/geohack/geohack.php?pagename=Tuggeranong_Hill&params=35_27_12_S_149_06_28_E_region:AU_type:mountain) is 855 meters above sea level and about 155m above the carpark where I parked the trusty Xtrail. The walk to the summit took about 35 minutes (I am not as fit as I would like to be), but was quite achievable. From the carpark at the top of Callister Crescent you have to take the small winding path, not the big firetrail – The fire trail circuits the hill. For the trip, I loaded up my backpack with what I believed would be useful and also grabbed my Buddipole. Once I reached the summit, I setup the Buddipole as a base loaded vertical at about 12 feet off the terrain, and I used a wire counterpoise. 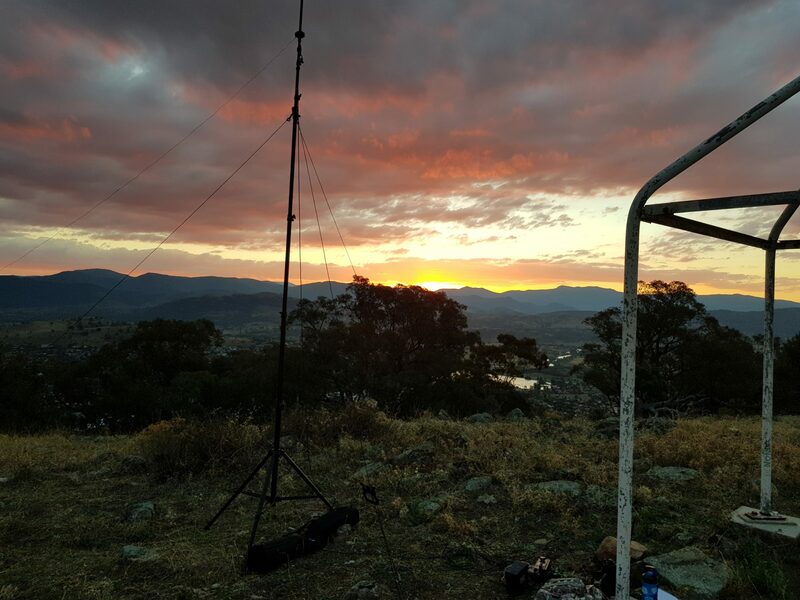 Activity started at 0800 with some 2m FM contacts with VK1MA on Black Mountain, VK1AD on Mt Taylor, VK1MIC on Mt Coree, establishing three Summit to Summit contacts and VK1FXNZ, VK1JA, and VK1FWBK as chasers, firmly qualifying the summit for me. The focus of the activities for most of the other activators was establishing contacts on 23cm and 13cm, so the other activators QSY’d to those frequencies, using 2m simplex as a liaison frequency. I have some 23cm gear coming, so it would be good to start experimenting in that world. I then turned to HF on 7.090Mhz using my FT817 where I discovered significant activity from VK1MIC contacting stations in many other states. 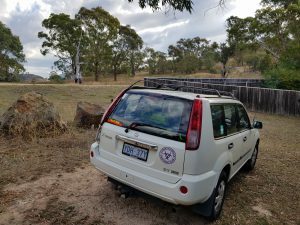 I did communicate with VK1FWBK on 40m, but didn’t have any luck with other stations as I was running out of light and I wasn’t enthusiastic about the trek down the hill in the dark. So – Things I learnt. 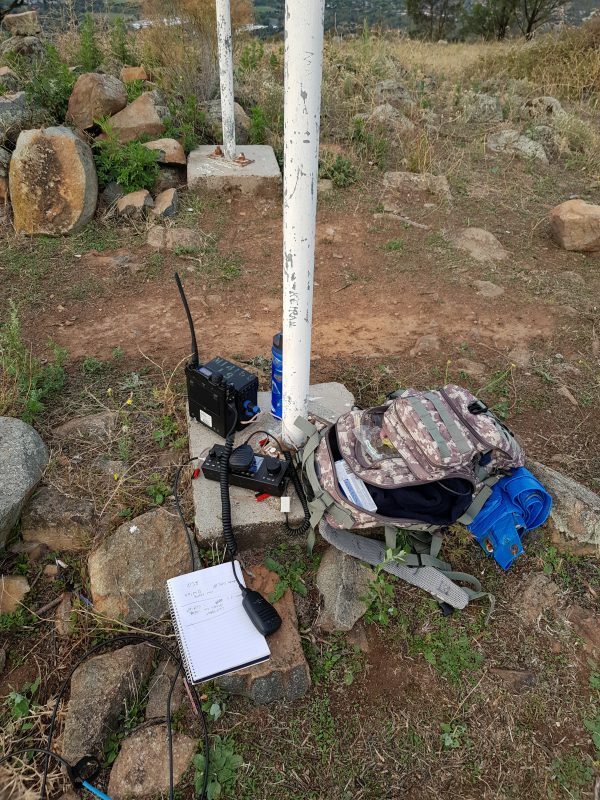 I need more experience on hilltop HF, I need to validate my portable antenna setup – It is fine when I go to camps and can chuck an antenna analyser on it, but the lack of success indicates that there may be other issues. I packed too much gear – two radios, multiple antenna options and multiple batteries wasn’t needed – in reality I could have activated that particular hill on a 2m HT. Leave earlier, allowing more time on the hill for contacts. The group started activation’s at 0800UTC, probably to take advantage of the ‘grey line’ as the sun moved, but I need to understand that more. You are not yet a Mountain Goat with 1 points. You are not yet a Shack Sloth with 13 points.